Bartholomew Broughton’s legacy continues to inspire the next generation of Tasmanian pioneers…. Perhaps it seems to be very short journey from their first released vintage in 2016 to receiving some of Australia’s top accolades in 2018, those being 2018 Best New Act in the Young Guns of Wine earlier in the year and then James Halliday’s Best New Winery 2019 announced shortly thereafter. 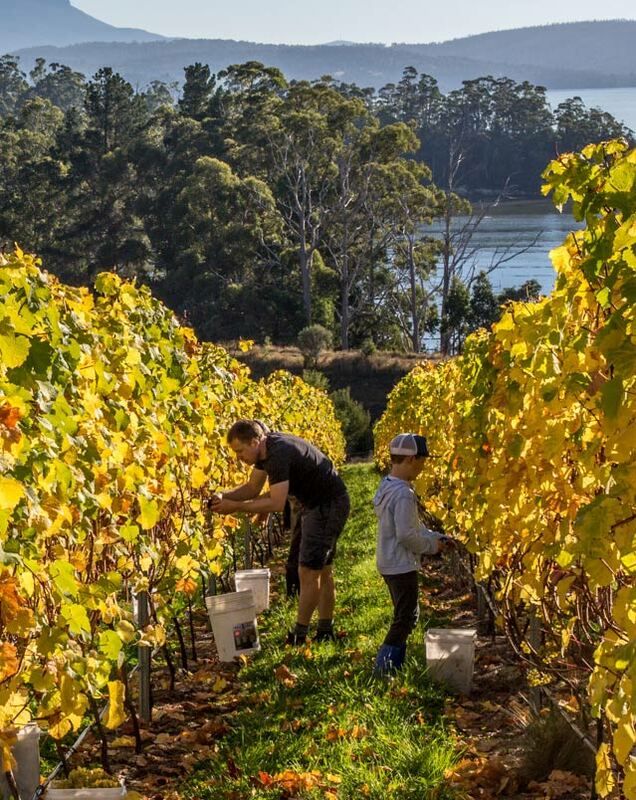 Of course, the Mewstone Wines journey has been much longer and only in recent times has it been centred on the stunningly beautiful vineyard in Flowerpot, Tasmania. And if all goes to plan, the addition of a cellar door will mean that soon, Tasmania’s The Huon Trail will have a new wine destination allowing vinous travellers a better opportunity to get to know these wines. Tasmania, with its pristine landscape and oceans, is famous for its fine produce with specialities ranging from lobster, salmon, abalone to truffles, wasabi, honey and cheeses. Wine is but a natural extension of this bounty, making it a foodie haven. What is less known about the state, is that Tasmania, or Van Dieman’s Land as it was known at the time, was producing wine in 1823. Ex-convict Bartholomew Broughton was making sparkling wine at this time, an early indication that this style of wine had huge promise. A promise that in 1986 led to Champagne producer Louis Roederer producing sparkling wine with Tasmanian wine producer, Heemskerk. This sparkling future has since been realised by the much deserved success of the state’s sparkling wine specialists, such as Accolade’s House of Arras, who produce some of the highest quality sparkling wine in Australia. 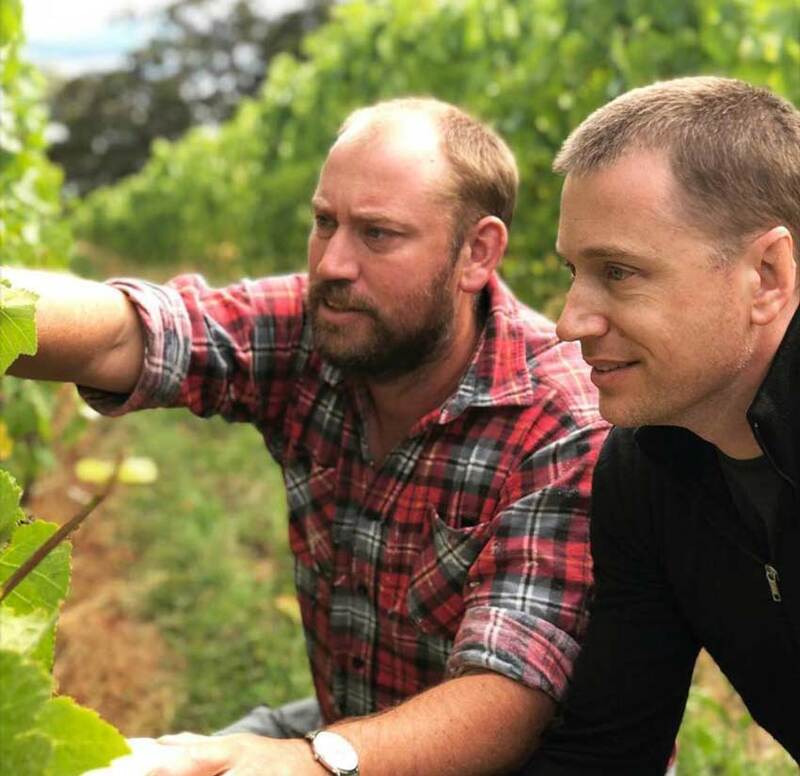 Brothers Jonny and Matthew Hughes have established Mewstone Wines on the slopes leading down to the D’Entrecasteaux Channel in Australia’s island state’s south-east. While their original planting has been focused on carefully selected pinot noir clones, there are also small parcels of other Australian classics. The Hughes’ vineyard is given a boost in ripening, like the vineyards along the Mosel river in Germany, the waters of the D’Entrecasteaux Channel reflects light up into the Mewstone vineyard giving the grapes a boost in ripening. For instance, they have planted the Old Tahbilk Shiraz clone which is an intriguing choice considering this is the most southern planting of Shiraz in Australia. And yet Jonny finds this a highly rewarding variety, and one that he loves to work with. Of course, the potential of Tasmanian Shiraz has been already highlighted when one was awarded the prestigious Jimmy Watson trophy in 2011, a trophy awarded to Australia’s best one or two year old dry red wine. However, future plantings will mean that Riesling will share Pinot’s spotlight. It goes without saying that Pinot Noir, in particular, has found a natural affinity in this cool martime climate wine region. 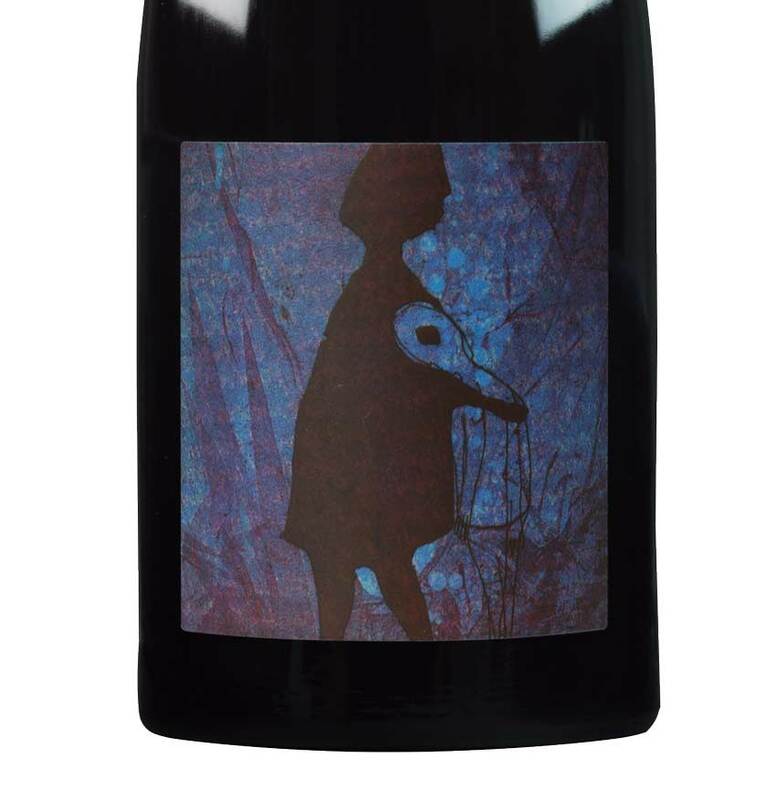 Tasmanian Pinot has a life of its own and it certainly expresses its terroir and, in particular, vintage variations. According to Wine Australia, the grape is by far the most popular variety planted in Tasmania with 44% of grapes planted being Pinot Noir, whether it is grown for a varietal wine or a sparkling wine. The new plantings in the Mewstone vineyard will include the Abel Pinot clone. A selection which reflects Jonny’s time in New Zealand where he gained his winemaking qualifications and worked vintages in Central Otago with its succulent Pinot Noir. Jonny has spent his winemaking years doing stints around the world before settling back in Tasmania working for six years at one of the state’s star wineries, Moorilla, as part of Conor van der Reest’s team. As well as the Mewstone label, the brother’s produce wines under the hughes&hughes label. According to Jonny, this label allows the exploration of different winemaking techniques and the potential of Tasmania’s wine regions. The range offers not only a Pinot Noir blend where the Pinot has been co-fermented with 10% Chardonnay and 8% Pinot Gris, a barrel fermented Riesling and a skin ferment Pinot Gris. Where do you source your grapes from to make your wines? Our Mewstone wines are single vineyard. We currently source grapes for hughes&hughes. We get small parcels from Tickleback Ridge and Tinderbox in the d’Entrecasteaux Channel, Nocton and Clarence House in the Coal River Valley and Kinvarra and Crisp in the Derwent Valley. Kinvarra and Nocton are our largest fruit sources. What varieties are planted in the Mewstone vineyards ? The Mewstone vineyard is currently planted with Pinot Noir, Riesling, Syrah, Chardonnay and Sauvignon Blanc. The Syrah is the southernmost planting of Syrah in Australia to date. The original planting is 2 hectares. This year, another 1.6 hectares will go in, next year the final 1.6 hectares will go in. Our first unirrigated planting will go in next year. Pinot noir (Pommard, 114, 115, 777, MV6), Riesling (GM110, 239, 198 and I10V14, I10V15), Syrah (Old Tahblik clone/R6WV28), Chardonnay (277, 76, 95, 96) and Sauvignon Blanc (F4V6). New plantings will consist of a more Riesling and Syrah from cuttings and new Pinot with clones 667, 828, 943 and Abel. What are your future plans for Mewstone Wines? February will see construction begin on our winery at Flowerpot (Tasmania) and this will incorporate a cellar door. We’ll finish our vineyard expansion in 2019 and when the vines come on line, Mewstone will be primarily focused on Pinot noir and Riesling. The hughes&hughes wines will continue to offer small batch releases that explore various winemaking ideas. What varieties are your favourite grape varieties to work with? Pinot and Riesling are incredibly engaging to work with. They both offer the potential to be taken in multiple directions through style choices yet always express site above all else. And the most unusual/challenging grape variety to work with? Our Syrah is stylistically so removed from other Australian examples. It’s constantly surprising us; new wood soaks up, a few whole bunches don’t look even a little green. Love it! Name up to five things that make ‘Mewstone’ so special? The site, the site, the site, the site, the family. We have a great aspect that gets soaked in sunshine, the Channel reflects all that extra light. The constant air movement makes it so disease resistant, the soils express so vividly in the wines and the family comes together to chip in whenever they’re called upon. 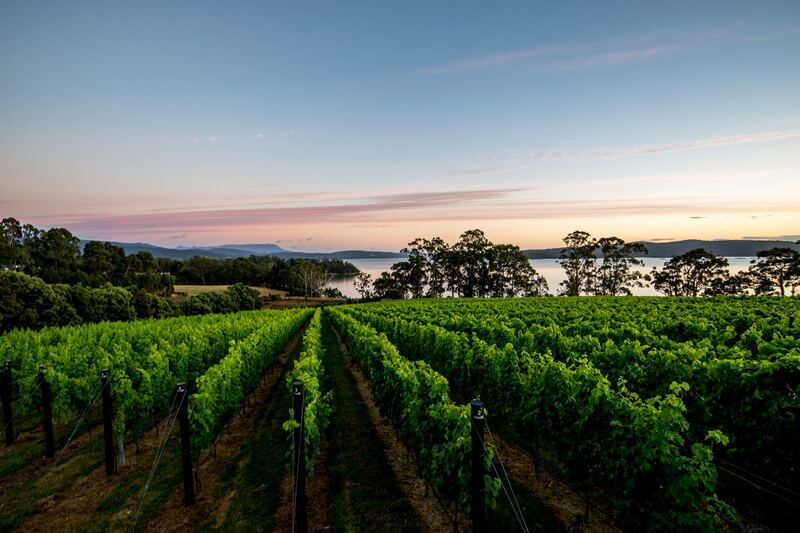 What is so special about the Tasmanian wine and the D’Entrecasteaux region? Tasmania seems capable of producing world class wines across such a diverse range of styles. With such a range of microclimates across the state there seems few limits on what we can do. The d’Entrecasteaux Channel wine region is small even by local standards. It’s a low yielding area that produces wines of great intensity and focus, the pure natural acids are central to making it a special region. How has the Tasmanian wine scene changed in the past decade? 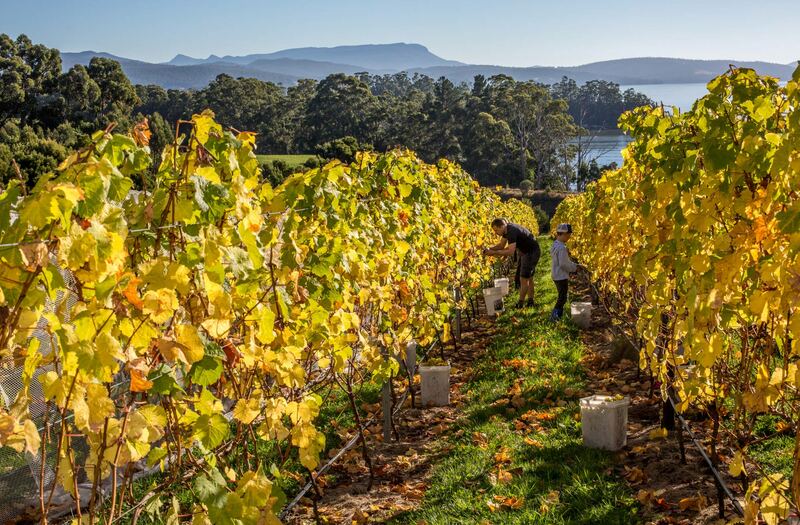 The emergence of the Tasmanian wine scene over the past decade has been remarkable. Ten years ago, we were well and truly on the rise thanks to a generation of pioneers, but a new wave of young talent that has arisen to complement those pioneers of our industry. The past five years has seen a new generation bring a diversity to match our undoubted quality. What is your favourite ‘Mewstone’ memory of the past 12 months? The last twelve months has been remarkable. Our recognition as ‘Best New Winery’ by James Halliday is hard to look past. Coming on the back of Best New Act in the Young Guns it provided a great boost as an establishing producer. Who would it be? Bartholomew Broughton, the founder of Tasmania’s first vineyard in 1823 and arguably the founder of the Australian wine industry. Now that’s a legacy. Which wine would it be? In 1826 Broughton offered for sale “200 gallons of grape wine in casks of 20 gallons each”, made from grapes grown at Prospect Farm, New Town. That would be fun to try. What would you talk about? 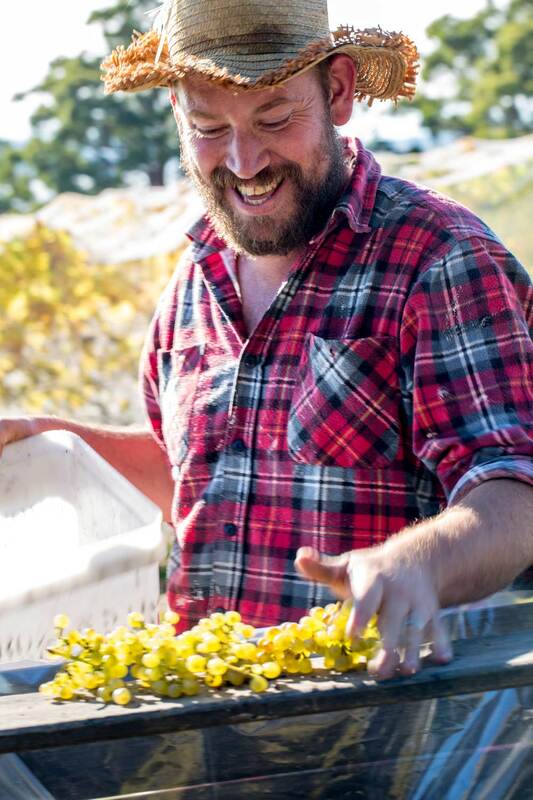 The future of the Tasmanian wine industry, from little things big things grow. Mewstone Wines are distributed to following countries. If you live in: Australia, Hong Kong and Singapore you should be able to find them. To read the review on Mewstone Wines Pinot Noir, click here. To read more about Tasmania and its wines, click here. Visit mewstonewines.com.au for more information on the Hughes family and their wines. Visit winetasmania.com.au and WineAustralia for more information on Tasmanian wine. Understanding those Croatian wine labels … a brief guide…..